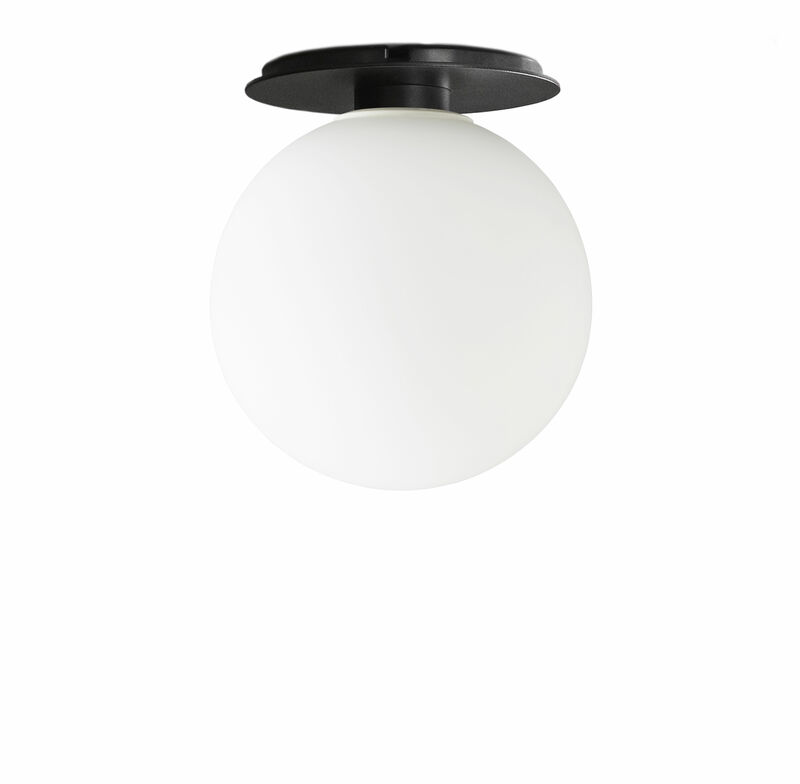 Characteristics : Ceiling light / wall light - LED bulb included: LED COB with E27 mount- Compatible with dimmers - XXL bulb with glass globe: this large decorative bulb screws into the lamp socket and serves as a lampshade - The glass bulb covers and hides the light socket - Replacement bulbs adapted to the collection of TR Bulb lamps by Menu available on the website. 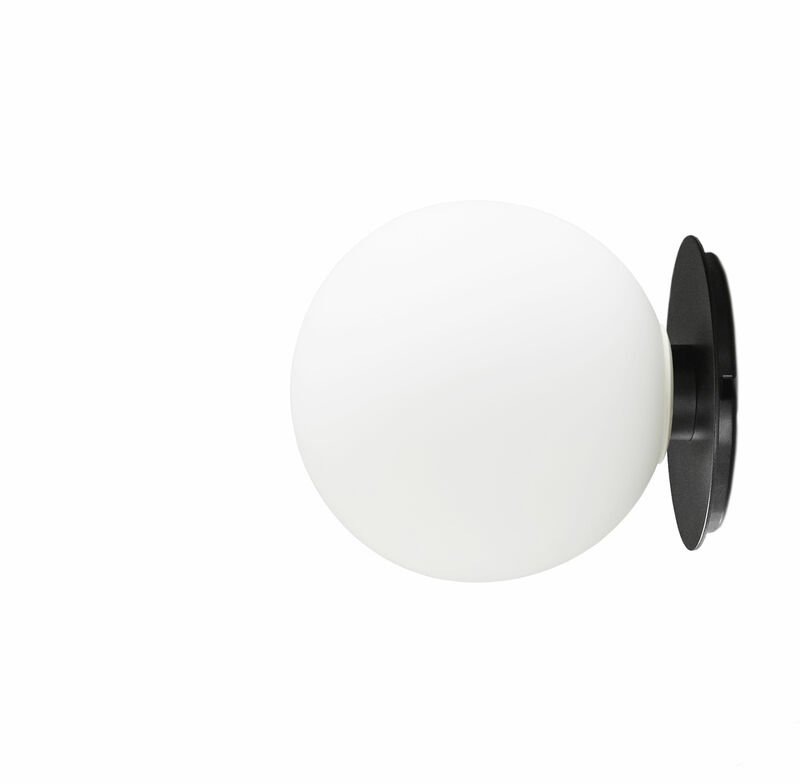 This lamp includes a white glass globe, pure and graphic, mounted on a black steel rod. 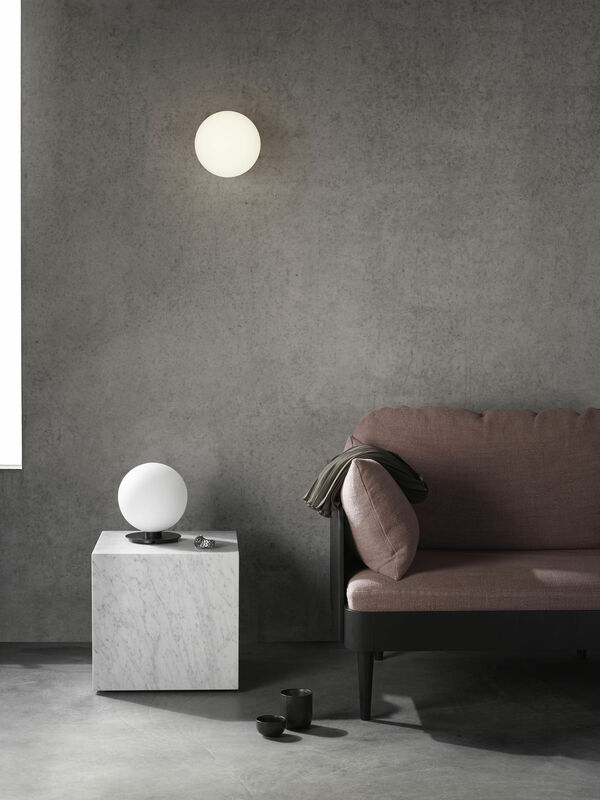 Like a white star, the opaline globe occupies the room with its presence, projecting a halo of soft light. This glass globe resembles a traditional lampshade but it is really an oversize bulb. With an E27 mount, this XXL bulb with glass globe screws into the socket on the stem. This glass globe covers and hides the lamp's socket. This bulb emits light and also acts as a light bulb, filtering light for a pleasant non dazzling effect. This LED bulb has a very long life. Replacement bulbs are sold separately in the TR Bulb Lamp collection. This lamp can be used as a ceiling light or wall lamp.